The Sunset Park CSA is centered on the values of supporting immigrant family farmers, connecting local community, and creating economic equity in our pricing. One of the best parts of a CSA is the opportunity to offer our labor alongside fellow community members. Each CSA member must work 2 volunteer shifts throughout the season. The Sunset Park CSA offers a 3-tiered pricing structure to support equity and inclusion in our support of family farmers. Click on “Learn More” for our list of prices. We work with Mimomex Farms in Goshen, NY, Tello Farms in Red Hook, NY, Borchert Orchards in Marlboro, NY, Soons Orchards in New Hampton, NY, Moonrise Bakehouse in Sunset Park, and SEY Coffee in Bushwick. 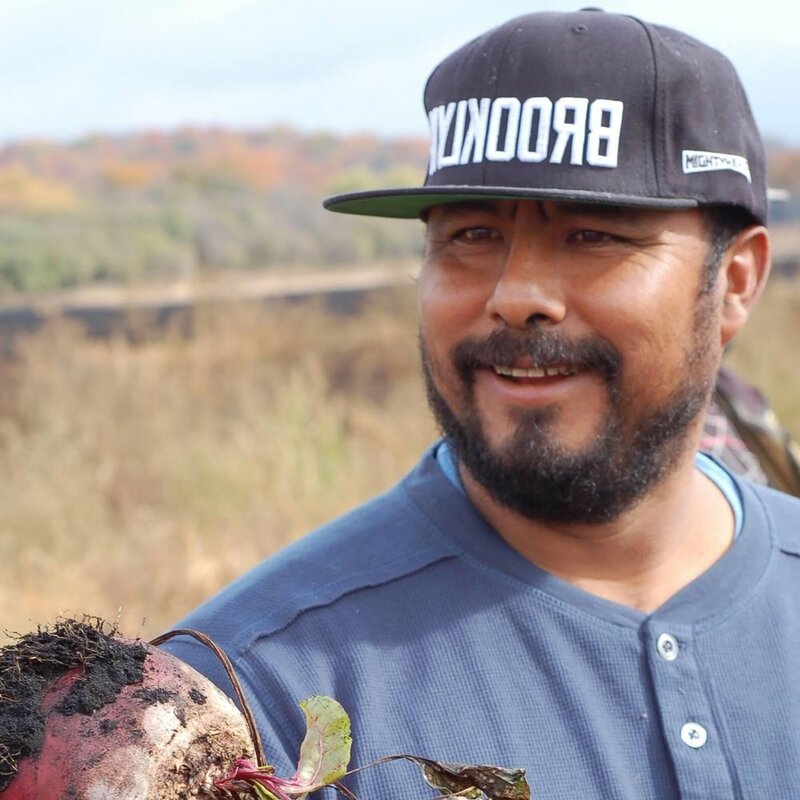 Check out this great video from Just Food about the amazing farmers at Mimomex who supply the Sunset Park CSA with our incredible produce.